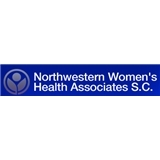 Northwestern Women's Health Associates S.C. (Chicago) - Book Appointment Online! Northwestern Women’s Health Associates provide highly experienced and skilled medical practitioners specializing in OBSTETRICS & GYNECOLOGY in Chicago & Northbrook, Illinois. Our OBGYN specialists are committed to providing you with timely and complete personalized care combined with maximum comfort, convenience, and privacy. We are equipped with the latest technologies to provide excellent and efficient women’s health care. Excellent as always! Very friendly and she asks a lot of questions to make sure the patient didn't forget to mention any symptoms. I can feel her care and patience for my health and worries. Great doctor, professional, kind, and smart. Highly recommend.